This download includes the original article about Information FrameWork (IFW), written by Roger Evernden and published in IBM’s Systems Journal in 1996 (Volume 35, Issue 1) – plus a detailed rewrite of the original article, written in 2011, that brings the original up-to-date. This article provides a detailed description of the Information FrameWork (IFW), explaining what the IFW is and how it differs from other enterprise architecture frameworks such as Zachman and TOGAF. It is an in-depth update of an article originally published in IBM’s Systems Journal. This is essential reading if you have an interest in architecture frameworks and want a better understanding of their purpose and structure. 72 pages, 20,000 words, available as a PDF file. “Since 1992 Information FrameWork (IFW) has provided the architectural foundation and framework for a set of models developed to support agile, component-based IT systems. Although these models were aimed primarily for the Banking, Finance and Securities industry sector within IBM, the ideas and principles behind the architecture and the model have much wider applicability. 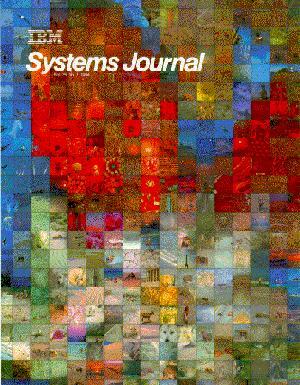 In 1996 I wrote a paper – published in IBM’s Systems Journal – to show how the Information FrameWork (IFW) built upon, but moved away from, the ideas presented by John Zachman in his Framework for Information Systems Architecture. This is the 2011 update of my original paper – to examine how IFW has stood the test of time, and to use IFW as a case study to explore some possible universal truths about Enterprise Architecture. It begins with a brief description of the Zachman framework – which was a starting point for my work on Information FrameWork. 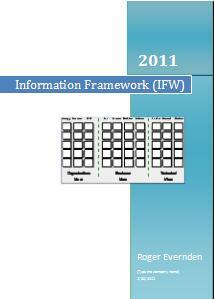 This is followed by the objectives and focus of Information FrameWork and a history of IFW. PDF file. Originally published in 1996 in IBM’s Systems Journal. This download includes the original article about Information FrameWork (IFW) - written by Roger Evernden and published in IBM's Systems Journal in 1996 (Volume 35, Issue 1) - plus a detailed rewrite of the original article, written in 2011, that brings the original up-to-date.